Visit our full Portfolio Site Here! Westcare was approached by the Director of the Marjon Business School and the Finance and Estates Co-ordinator to quote and implement a design for the new business school, to be known as The Edge Project. 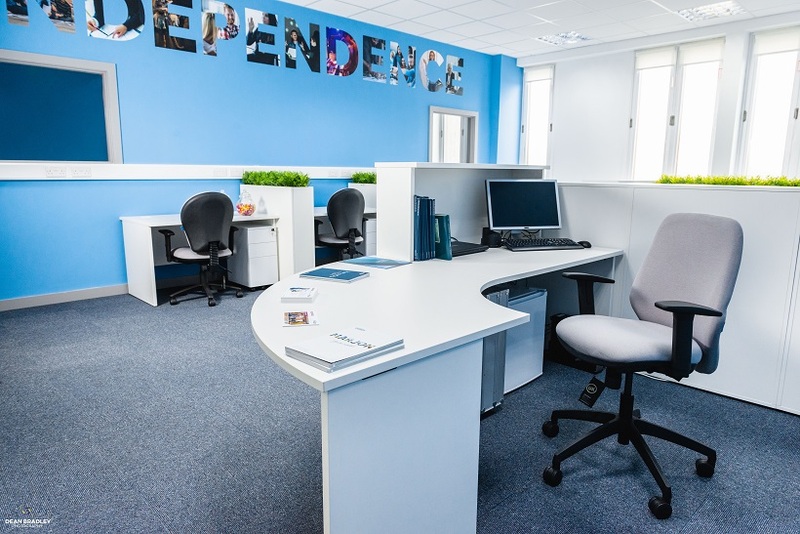 Working closely with our Client’s brief, a meeting room, reception and office area were fitted with workstations, seating and storage to provide a light, clean, inviting and ergonomically sound environment. At our Client’s request Westcare also undertook to supply and fit an innovative, bespoke partition solution, which was designed and manufactured to fulfill both visual and accoustic criteria. 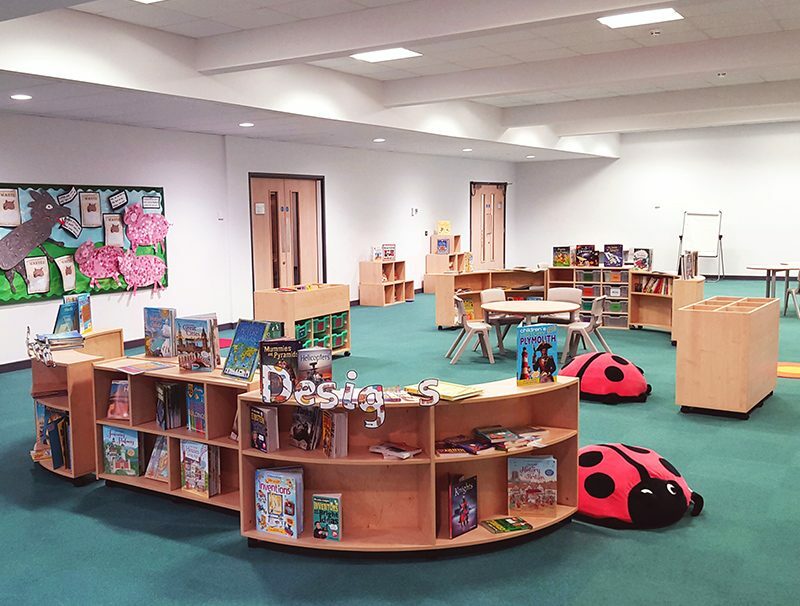 We were called upon by Hele’s School to complete a number of build and refit projects around the school including their corridors, reception and their impressive library building which was in need of modernisation. The remit for the library was to create an open and airy atmosphere where the students would feel welcome and want to be a part of. Designed as a collaboration between the Client, Westcare’s Project Managers and supply partners. We ensured that adequate storage was available for books, while still keeping the library bright and spacious. There was enough comfortable seating to allow for relaxed reading and sufficient benching for IT use so that students could study more formally. We refurbished and modernised a second floor laboratory, including the creation of pods with gas and power for student use. The whole room was cleared and all fixtures and fittings removed, including floor covering and pipework. The engineer laid new gas and power under the floor boards to fit into special pods taking gas taps and power boxes. The ceiling was lowered and LED panels installed with new ceiling tiles. A modern, compliant gas safety system was installed together with non-slip safety flooring. 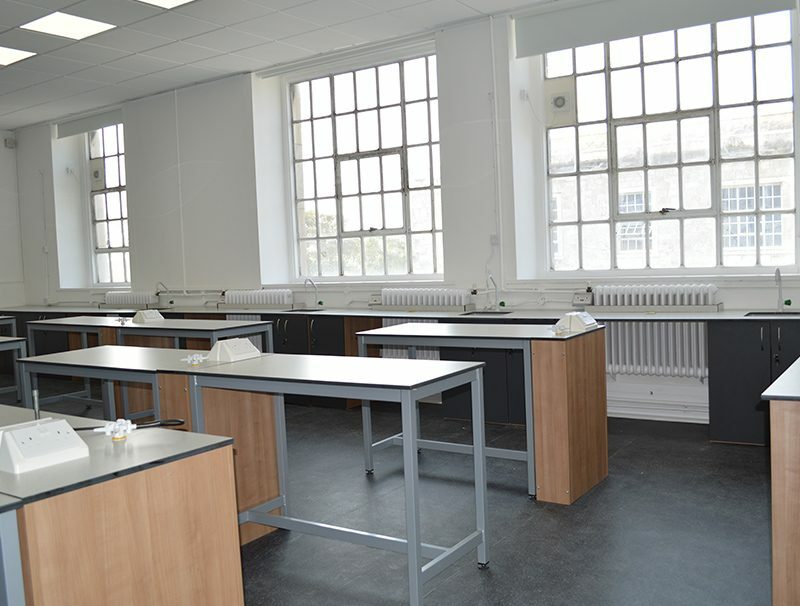 The whole area was decorated and benches, sinks and bespoke teacher’s desk fitted to modernise the Laboratory. We were asked to supply a complete installation for the new St. Matthews C of E Academy in Derriford, Plymouth. This remit included classroom tables and chairs, hand towel dispensers, pens, pencils, exercise books and musical instruments, a total of 1756 classroom resources and 608 lines of furniture and janitorial products. Once the order was placed we were able to produce individual room plans for the client together with a complete list of items required for each room. Each classroom was furnished and co-ordinated by size and colour. 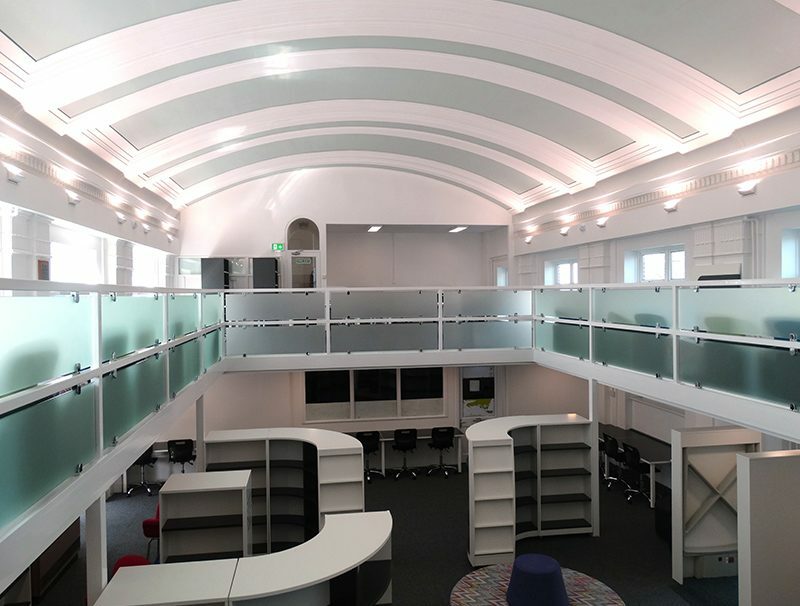 The library was fitted with bespoke items creating ample storage with space for additional shelving as required. See the Rest of our Projects Here!